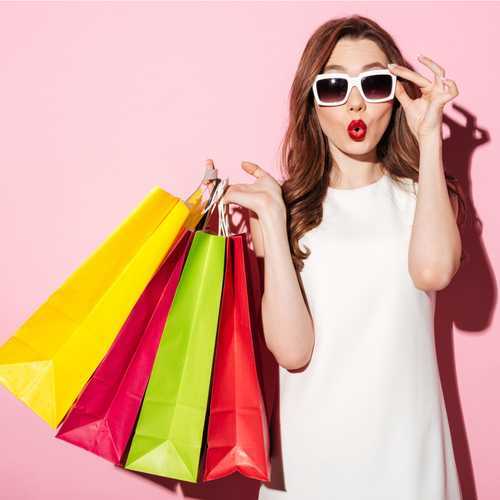 There is plenty of retail therapy in Boca Raton and although your student is up there for school, there is always something that he or she will need particularly at the start of the first semester. It’s a good idea to order some things online or at home and have them waiting for you at some of the stores in Boca. This can be done at Target, Walmart and Bed, Bath and Beyond, and can be extremely time-saving as well as freeing up space in your vehicle or if your student is flying into town, making shipping far easier and less expensive. Boca Raton is a fairly busy city with a lot of local traffic and construction. When you are first moving your student to FAU, expect that the city will be extremely crowded with parents and their students all vying for the same items. Being located in a large city means there are multiple locations for many of the Big Box stores. But a lot of residents are also buying items for their college students that may be attending a different college, so you may find a lot of the stores picked over. While most of the stores are prepared for this onslaught, there are some items they still run out of and some you won’t have realized you need until you get there and actually begin the setup. Another consideration is the wait time to pick up the items that you may have pre-ordered. It is, as I said, sometimes worth going to the further location to avoid this. Directly across the street from FAU is the University Commons Shopping Center. There you will find Bed Bath & Beyond, Barnes & Noble and a Nordstrom Rack. Bed Bath & Beyond – As its name implies, this large store carries almost every item imaginable for a bathroom, bedroom and kitchen. They literally cater to the college market. Just about everything you need to set up a dorm room just right can be found here. There is a Bed, Bath & Beyond located just a mile away. You can create a college registry online and arrange to pick up right at that location. Target – one of my favorites; is considered a trendier discount retailer. They too sell just about everything your student may need for college including room essentials, cleaning and school supplies, toiletries and some grocery items. (Generally, their Superstores carry food). You may want to take a look at their website and college registry before arrival day. There is a Target on State Road 7 in Boca Raton which is approximately 16 – 21 minutes from campus and sure to be a madhouse on move-in day), but there is another one on Bradfordville Road, which is about 25 minutes away, but may be worth the trip to stay away from the mayhem and possible empty shelves. Malls and Department stores – The closest mall to FAU is Town Center at Boca Raton. Located approximately 2 miles from FAU, it is considered to be an upscale shopping center. There you will find Nordstrom’s, Bloomingdales, Neiman Marcus, Saks Fifth Avenue, Macy’s, and Sears, which mostly is for appliances and auto repair. Another great shopping area to walk around with your student is Mizner Park. This destination lifestyle center is anchored by Lord & Taylor and includes an amphitheater, an iPix movie theater, and top-rated eateries. Best Buy – This chain store is known for electronics, computers, appliances, cell phones, video games & anything tech related. They also are known for their Geek Squad that repairs computer and electronics. For students needing an appliance such as a dorm refrigerator or large electronic item such as a television, simply order it conveniently online or a store near you and arrange for pick up. Receive discounts by signing up for College Student Deals. To sign up, simply register to receive them by providing your student information on their College Student Deals page. Apple – There is an Apple store about 10 minutes away at Town Center at Boca Raton. Appointments are strongly recommended but if an emergency strikes, your student will not be too far. Computer issues can be very touchy and extremely stressful. Consider Applecare (if your student has an Apple computer) so they can get technical support at any time. In addition, there are a few online backup services that are worth looking into regardless of what type of computer is used. They are preset to back up daily and automatically. I currently use Mozy to backup my computer and all of my kids’. The nominal yearly fee can help avoid the panic that comes along with a crashed computer and a paper that is due the next day. For great tips, tell your friends and like us on Facebook and Instagram. Sign up for other great tips at haveuheard.com.